Bit of history, bought the car on Tuesday from SVA in Dover. 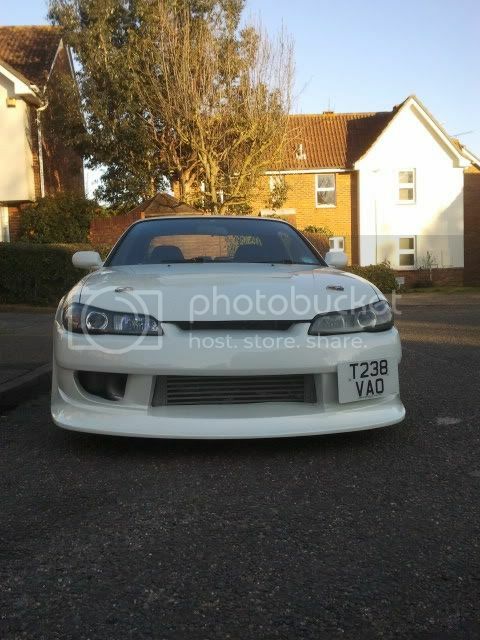 Quite a nice spec all ready, suspect it was a drifter in Japan as it seems to have had some decent parts on it. 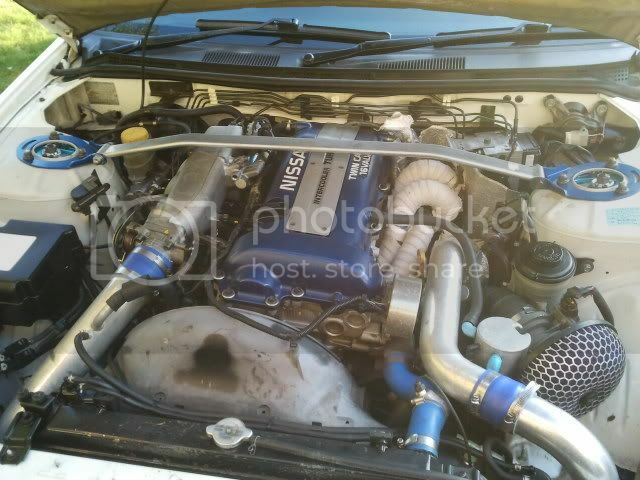 SVA seems to have removed most the good bits though including a z32 maf and we suspect they removed a aftermarket ECU which is a pain as i plan to fit one. 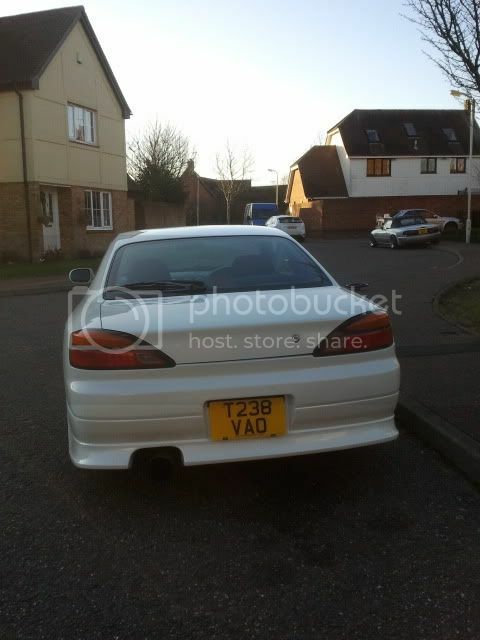 Possible ADVAN? 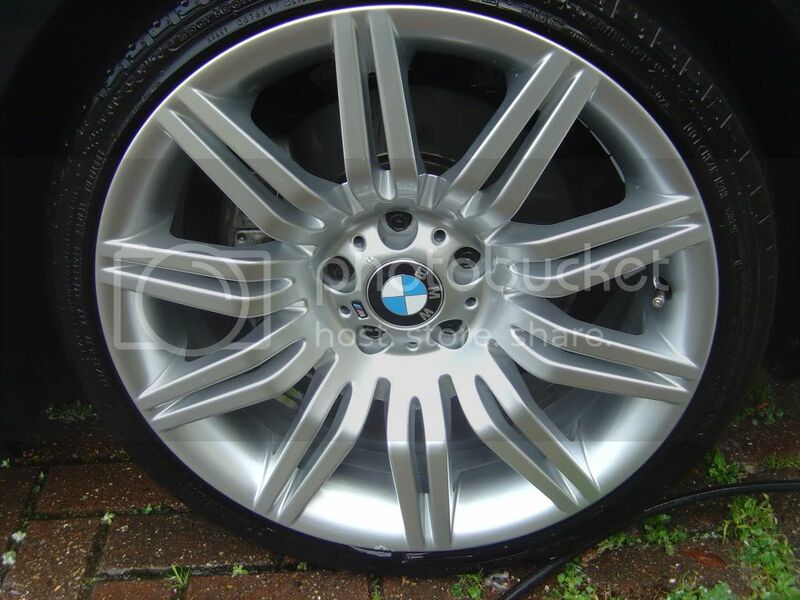 17" alloys with ****e tyres. Picture after i got her the 80miles home on Tuesday. Took her to work yesterday and broke down on the way in. One of the coils gave up so a trip to Dover after my night shift and i came home with a fresh one. Problem solved. Also fitted a snap off boss (no pictures) for a bit of security and have someone coming round on wednesday to fit a clifford 650 to it. Will be buying a new set of blue wheel nuts tomorrow as the ones on it are very worn and a new set of bonnet catches as the silver ones look slightly tatty. Future plans are to stick a small set of spacers on to get the wheels sitting slightly better untill i can afford a set of Rota Grids. Pick up some gauges, Boost, oil pressure and water temp. 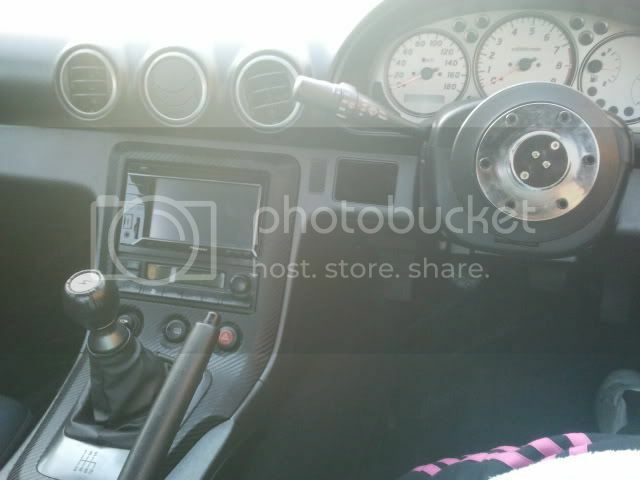 (looks like the fittings for the water temp gauge are all ready in place) Set of bucket seats, harness and possibly a cage. Also looking at a link ECU and z32 maf for some more power. Immediate plans are just to enjoy it and hope it doesn't go wrong again! Last edited by shifty; 03-02-2012 at 03:36. Paint does look like its come up lovely mate! Really like the look of them with big kits on but couldnt do it round here would get ripped off by speedbumps within the week! Heat wrap on the mani looks tidy! far superior to the job i did on mine! Glad your enjoying it, you'll have to bring it along to Japfest and show it off now! 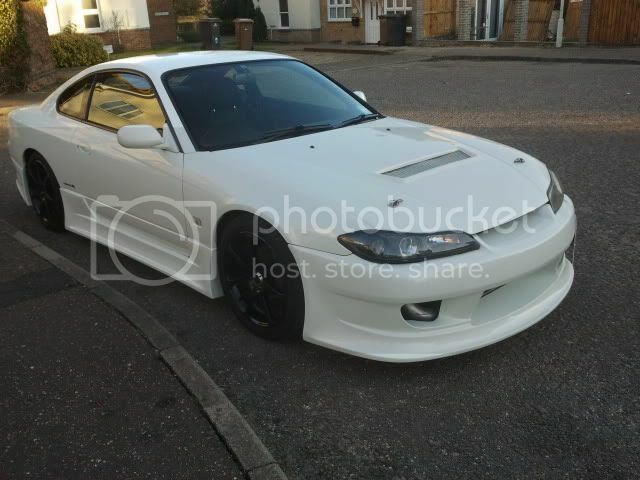 It is techinically an aero body kit but aftermarket. Think it's the full vertex ridge kit, it's a very very nice kit! And if you ever want to get rid of the 2 way diff for the standard s15 spec r helical diff give me a shout! Plus abit of money your way ofcourse! Looks so nice after you have gave it a good clean! If your gonna get some gauges you should check out depo, also get oil temp not water as you already have a gauge on the dash and its more important to monitor oil temp rather than water.. Cheers for the comments ! spent another few hours on her today. 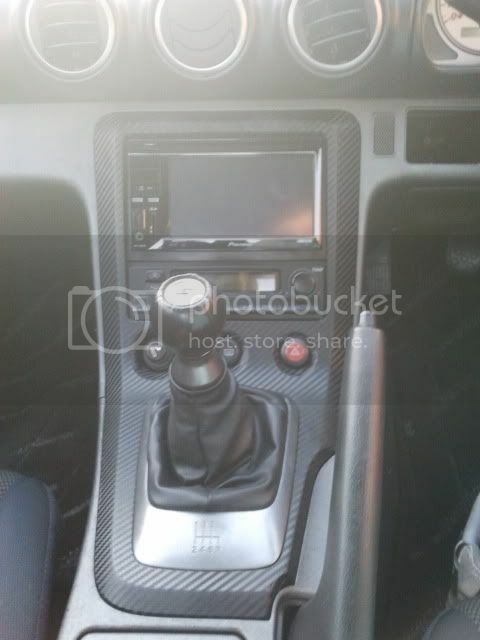 fitted my pioneer out the evo, and wrapped the centre console. not a perfect job but the first time iv done it so.quite happy with it. can't believe how fiddley it is to do though, had to rope my brothers in for extra hands! Last edited by shifty; 03-02-2012 at 17:58. I do a far bit of detailing (have a 3M rotary and DAS-6 Pro DA and a small fortune in pads and other products) and on my 15 I use Dodo Juice - Lime Prime (or Werkstat Acylic Prime) as the cleaner (after claying which on don't do that often) and then Werkstat Acrylic Jett Trigger as the sealant and that's it, i've polished out any swirls so I don't need to use the White Diamond anymore, the pop from the paint is fantastic with the sealant, far better in my opinion to a wax finish. (I get mine from Polished Bliss). Also use Autosmart Tardis, G101, Iron-X (Iron-X is amazing stuff, stinks though, lol) on the wheels, finished with Chemical Guys Jetseal 109, far far better than the horrible wheel wax they try and flog you. 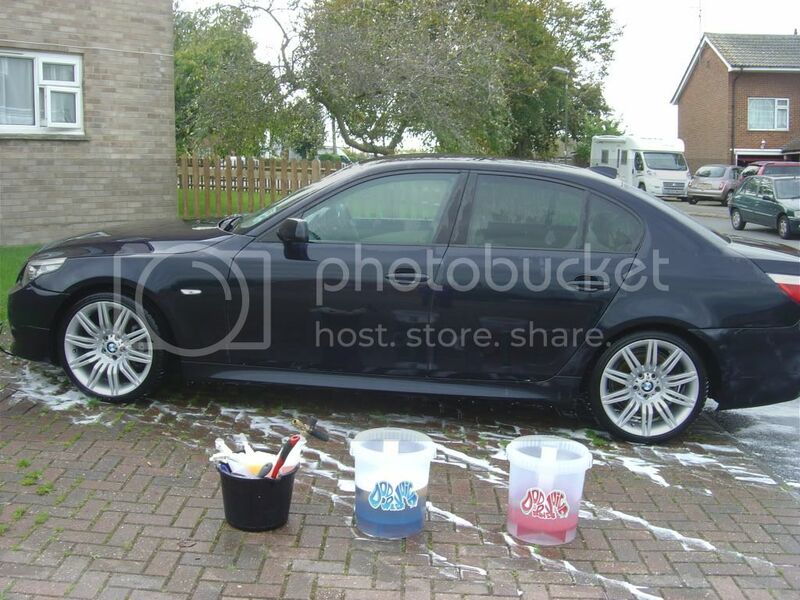 I use Dodo Juice Supernatural Wax on the BM as the flake in the paint responds better than the sealant, also use Dodo Juice wax on the wifes Alfa, but for the 15 i've found the Werkstat stuff to be the best. Just though i'd pass that on as I have the same paint as you. As above, the Werkstat Acrylic Kit is great for bringing out the pearlescent paint. I'd highly recommend it. How are you getting on with the 2 way lsd? thanks for the advice about detailing! i always get my self in a bit of a muddle with what order to apply bits. 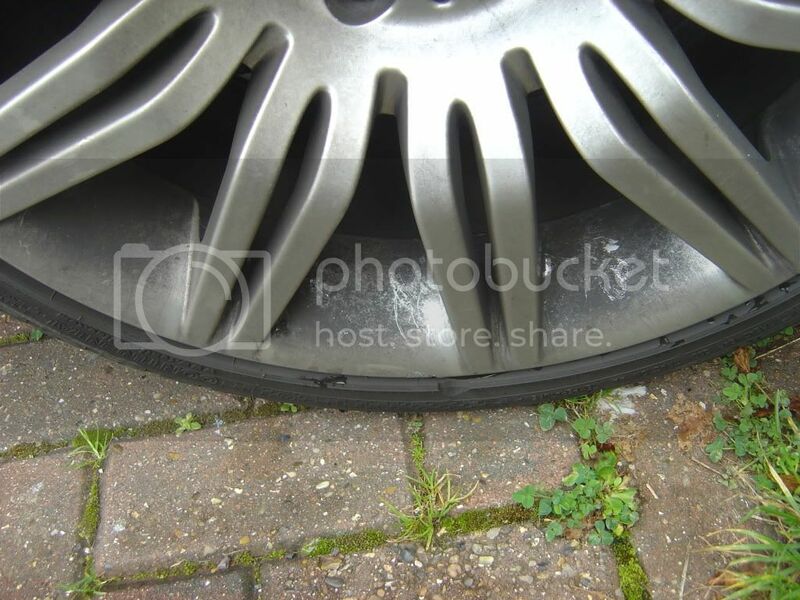 Iv got some (well my brother has ) chemical guys jetseal 109 that i could use instead of the wax, would it be any good on the paint or do you just recommend it for wheels, if so il pick up a werkstat acrylic kit Whats the purpose of the sealant instead of the wax? 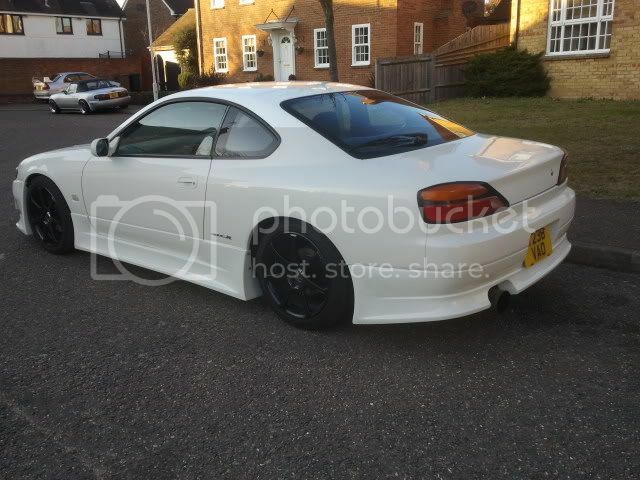 Will pick up some dodo juice aswell, been meaning to look at a new shampoo as im pretty much out so will pick some up....the paint on my evo was terribly soft, not sure if the paints the same on the s15 so is the dodo juice light better matched rather than the standard stuff? Iv got some bilberry? 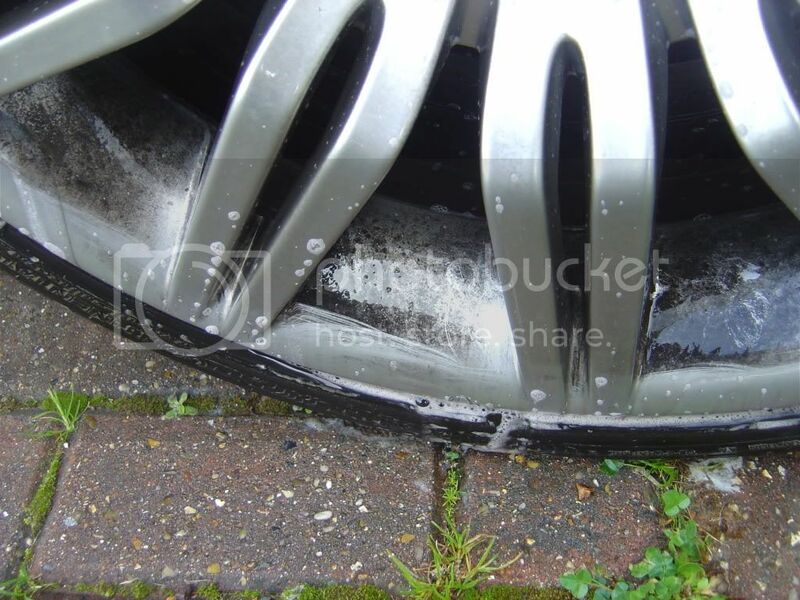 (think its called that) for the wheels on my mx5 and poorboys wheel sealant which brings the rotas up nice so will give that a go on the advans. I don't want to spam your thread, but here it is, plus some pics of my detailing (all I can't find). For the order it’s pretty much the same on all cars, but you just remove the stages that your not going to do, but the order stays the same. 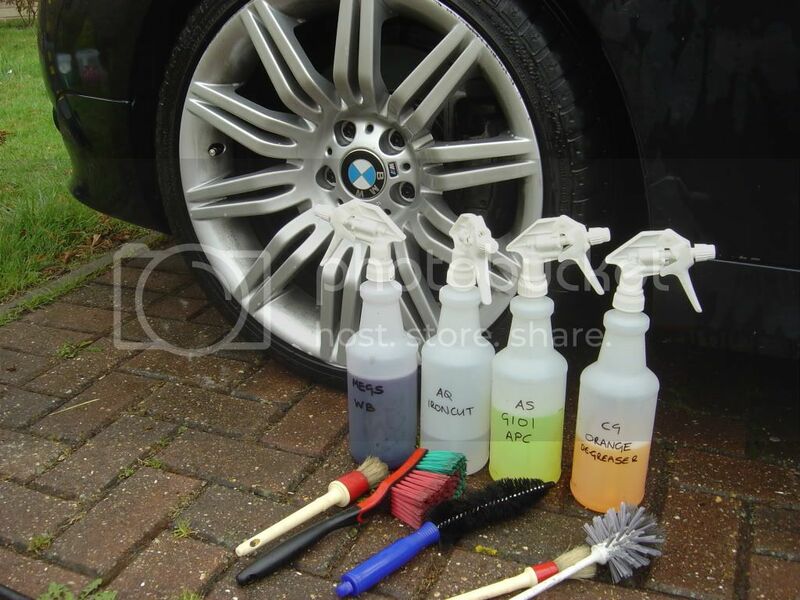 Attack wheels with assorted brushes until done. Clay paint work, use lubricant like Dodo Born Slippy (lots of) – use a soft clay unless the paint is hard – strong clay is good if you have any overspray anywhere. If your not doing a machine polish and you want to hide (not remove) some of the swirls you can use a Glaze (Poorboys White Diamond etc), personally you better off with a DA polisher and some pre-wax cleaner on it for light swirl removal, I haven’t found glazes to be that good at hiding the swirls and that’s all they do. Now the paint is polished it needs protecting, this is the purpose of wax or sealant. 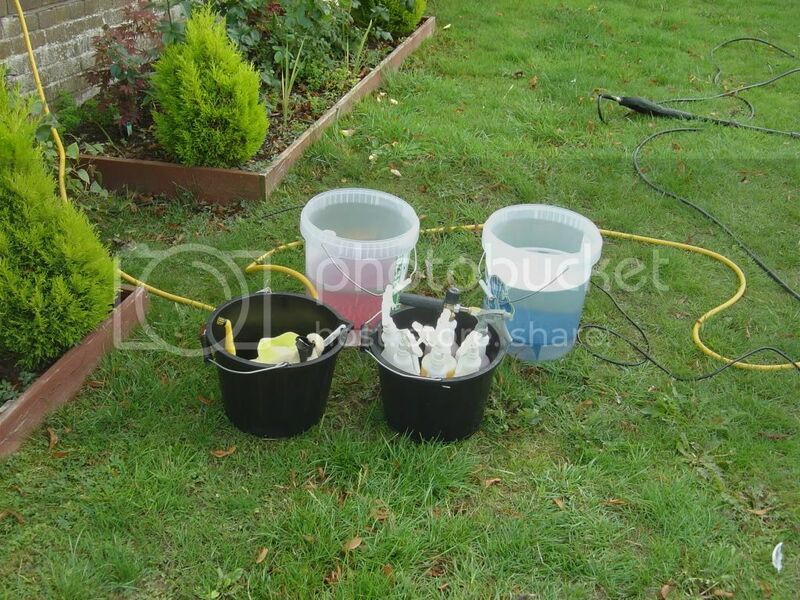 Sealant also provide a layer of protection but in the form of a synthetic polymer. It’s horses for courses, Wax and Sealant serve a similar purpose (so you can choose based on the finish you want) Wax is always a softer/warmer effect, sealants are quite clinical in the look, sharper. For the sealant I usually lay down 2-3 coats, 30mins between each. 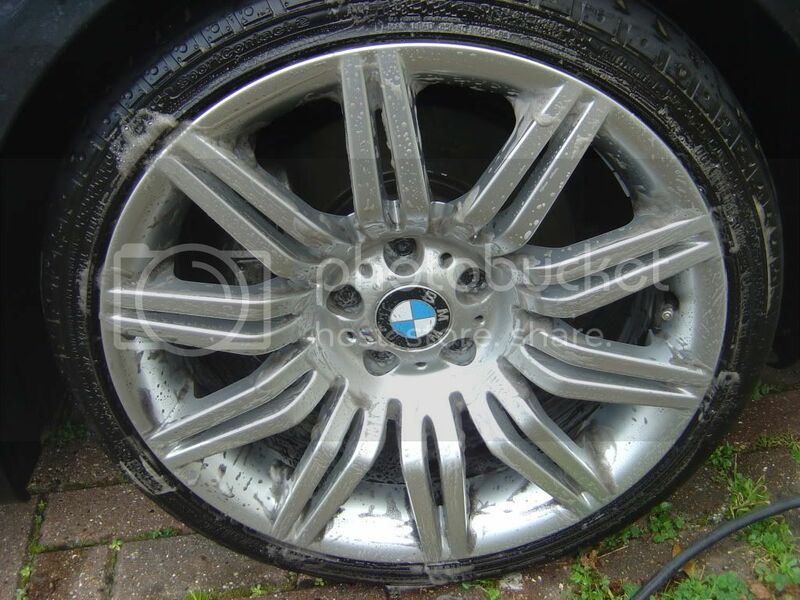 I have a lot of Poorboys and Chemical guys stuff, can’t fault it really for the price, the Poorboys wheel seal is fine, but try the 109 and see what you think, the real proof is on the next wash, see how much brake dust is embedded using the two products. Bilbery wheel cleaner is an alkaline cleaner, there’s lots of info floating on the web about not using acid/alkaline cleaners, but if there used carefully they are fine, Dodo Juice wheel cleaner is acid based for example. 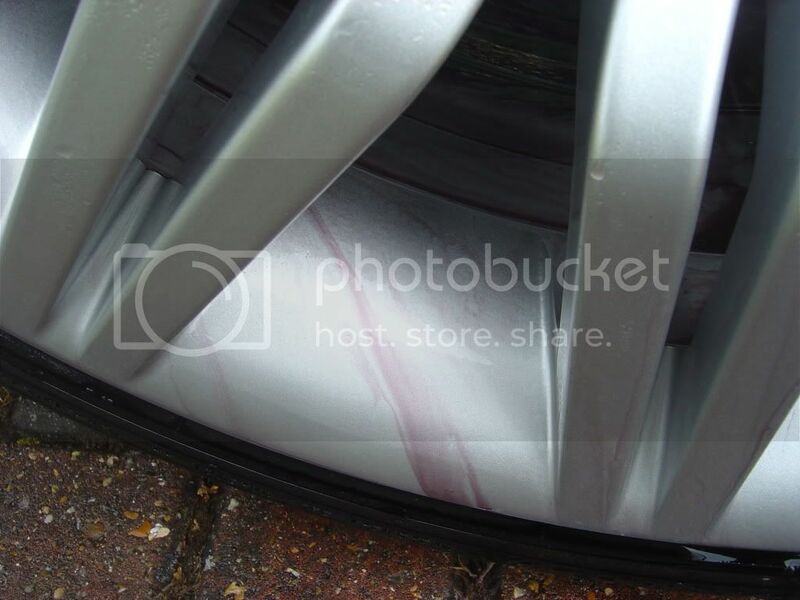 I usually use Meguiars wheel brightener, but sometime change for the Bilberry. But the brushes are the key, I have about 10 different ones. Last edited by ichigo-300; 04-02-2012 at 00:05.